Sun in Leo wants the best, and Moon in Virgo needs to make things better. Virgo’s drive for perfection can initially help make life easier for Leo. But eventually, the Lion’s grandiose habits — and Virgo’s chronic worrying — will create some serious friction. Sun in Leo loves it when the vibe is big, bold and centred on him. His dramatic nature and desire for attention ensure that life is never dull for him, or his partner. His lover should realize that The Child is an archetype for the Sun in Leo: pure, unfiltered ego plus a focus on fun and pleasure. Nothing is too good (or too much) for this sign. He’ll generously shower his partner with luxuries, as long as his partner showers him with compliments and appreciation. Moon in Virgo feels safest when things are just a little bit broken. Nothing too drastic (that would be too much for this highly-strung Moon), but she always needs something to improve. If everything’s ok, she’ll poke around until she identifies a fixer-upper (her partner is most often the target for this). Moon in Virgo displays her affection by “helping” her lover, even when he doesn’t need it. But what some view as nagging (or endless discontent) is actually her ceaseless drive to evolve. These two will bring out each other’s worst qualities. 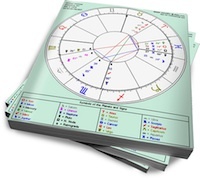 Moon in Virgo will initially support Leo by keeping his domestic life running smoothly. He’ll appreciate her efforts (and obsessive attention). But when Virgo starts to identify issues that Sun in Leo could improve, he’ll be wounded by (his interpretation of) her criticism. And when Leo indulges in (what Moon in Virgo views as) tasteless and vulgar displays, she’ll react with a barrage of nervous nitpicking. This will wound the Lion even more, and he’ll react with a tempter tantrum. This tense combination might work if each chart has some energies to moderate the Sun and Moon. But even then, Moon in Virgo will always run the risk of being Sun in Leo’s servant. He’s sun in Leo, I’m moon in Virgo and this isn’t true for us. 9+ years together and I’ve never nagged him. You can’t change a Leo.